On Saturday, Hannah’s Bookshelf (on North Manchester FM) was all about some of my favourite castles in fiction. The show’s theme was inspired by my recent trip to Alnwick Castle in Northumberland. 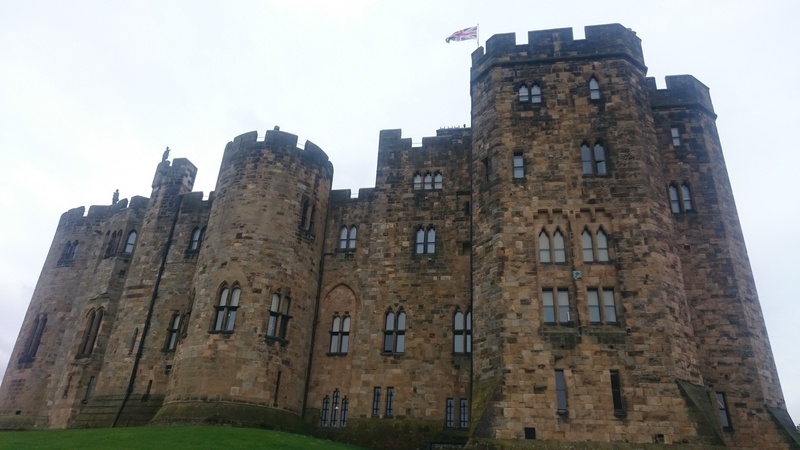 I love the medieval history and neo-gothic decoration of Alnwick Castle, and this got me thinking about some of the literary fortifications in the fiction I love. If you missed it, you can catch the show again on the player below. As promised, here are the details of the books I talked about – let me know in the comments if you think there are any gems that I missed! For a lot of people, the idea of ‘castles in literature’ will conjure up images of the Middle Ages, so it seemed fitting to begin with something medieval. I decided to go with Ywain and Gawain – though it was a tough choice – a fourteenth-century romance about one of King Arthur’s knights. 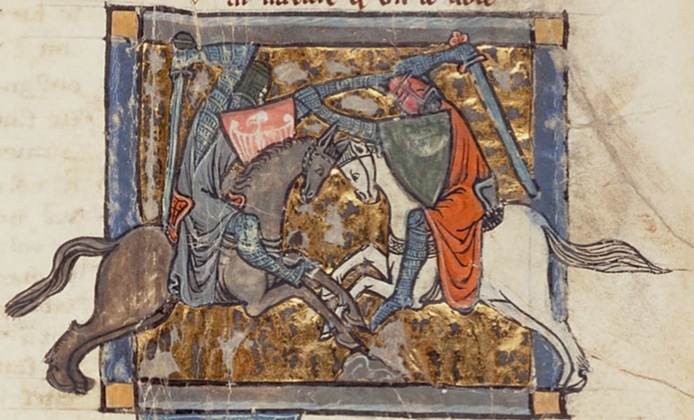 Ywain and Gawain is a retelling (not quite a translation, more a loose adaptation) of Chrétien de Troyes’ Yvain, or the Knight with the Lion, an Old French poem written in the twelfth century. It tells the story of the eponymous knight who, like so many other romance knights, is looking for a bit of adventure to fill his days. When another knight tells him about a magical fountain in the forest, Ywain rides out to find out – and ends up (obviously) fighting for his life. There’s a lot more to be said about Ywain and Gawain – I’ve only mentioned the very beginning of the poem so far – but my focus on the show was on castles, and it’s during this huge fight that we get my favourite ‘castle scene’, in which the building itself seems desperate to join the battle. If ‘castles in fiction’ didn’t immediately make you think of the Middle Ages, then perhaps it conjured up the image of a sinister Gothic castle. No list of literary castles would really be complete with a classic Gothic novel, and what better than the very first one? Walpole’s novel features Isabella, an innocent young woman dragged into the horrors of Otranto by Manfred (our villain), who is determined to marry Isabella – despite already having a wife. 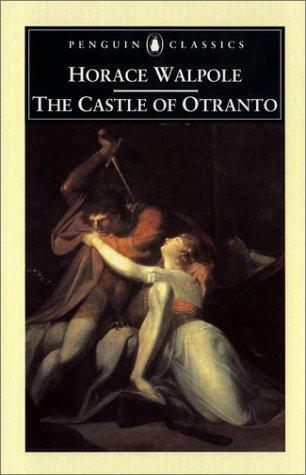 Although we now understand The Castle of Otranto as a work of creative fiction written in the eighteenth century, when it was first published it proclaimed itself to be a translation of a manuscript from 1529. In this, and in its fascination with the labyrinthine dangers of the castle and the abbey (from which our heroine must escape), it sets the template for the first wave of Gothic fiction. I felt that this list should have a fairy-tale castle on it somewhere, but I had real trouble deciding which one to include. In the end, I went for a retelling of a fairy-tale-like story, which is probably not quite the same thing! Regular listeners of my show will know that Maguire’s Wicked is one of my absolute favourite books. 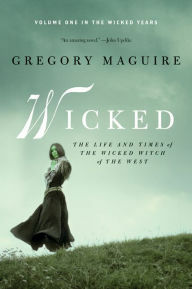 Subtitled The Life and Times of the Wicked Witch of the West, Maguire’s book tells the story of L. Frank Baum’s The Wizard of Oz (and a whole lot of other story that isn’t found in Baum’s book) from the perspective of the Wicked Witch of the West, now given the name Elphaba. Maguire’s book has now been adapted itself into a massively success musical. I’ve included the book on this list for Kiamo Ko, the castle home of Fiyero, Prince of the Vinkus, with whom Elphaba has a complicated relationship throughout the novel. (NB: If you’ve only seen the musical, I should point out that this is part of the story is really really different in the book! Get Musical-Fiyero out of your head right now!) Elphaba retreats to Kiamo Ko in the final sections of Wicked. Because of the way Maguire weaves the events of Baum’s story into his own work, there’s something really chilling (and utterly compelling) about Elphaba’s relationship to Kiamo Ko… especially when you realize that you may have seen this castle, in another form, before. Having talked about ‘classic’ castles (medieval, Gothic and fairy tale), I turned to more modern treatments. What happens to castles in the twentieth and twenty-first century? What becomes of these imposing edifices when they’re no longer military fortifications or aristocratic seats? 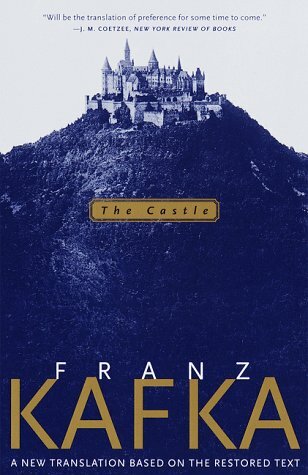 The next book on my list is Kafka’s unfinished novel The Castle, which sees the eponymous structure put to work as the home of faceless bureaucratic authority. The protagonist K. is a land surveyor, called to a village by the castle authorities for some unspecified purpose. He has been instructed to meet with his official contact, Klamm, but arranging this meeting is not as easy as it seemed. Attempting to navigate the various administrative pitfalls, K. finds himself trapped in a village dominated by the castle and its officials (though we never see inside the edifice, nor really meet any of its inhabitants). Villagers praise the work of the castle, but their ambiguous and contradictory speeches reveal that no one really understands what, exactly, the officials actually do. Kafka’s work has become synonymous with claustrophobic and counter-intuitive bureaucracy, but The Castle is about much more than this. As K. is driven slowly mad by his situation, the novel makes us think about questions of individualism, isolation and salvation. This next book offers a rather different castle. The castle in Smith’s novel serves no municipal or military function, but has been repurposed as a domestic residence (albeit a rather crumbling and ruined one). 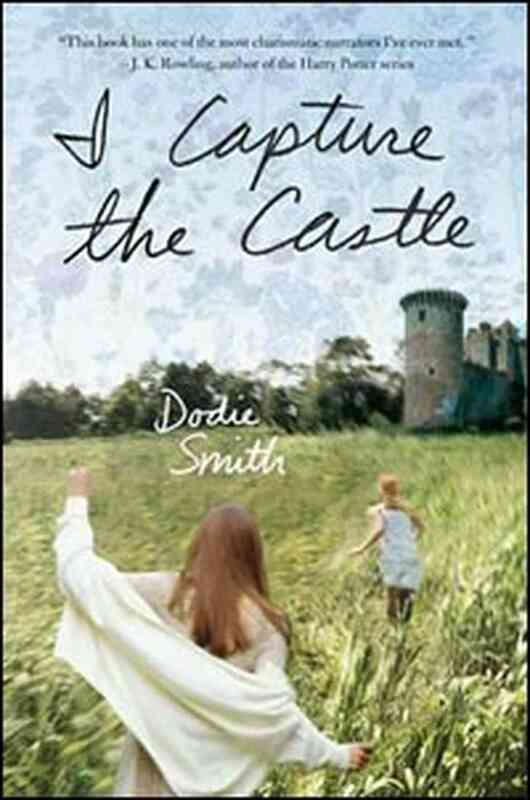 Dodie Smith is perhaps better known as the author of 101 Dalmations, but her earlier novel is well worth a read. It is narrated by seventeen-year-old Cassandra Mortmain, a young woman with ambitions of being a writer, and who ‘captures’ the things that happen to her family in her journal entries. Cassandra’s father is a writer who, when his first novel sold well, took a long lease on a castle and moved his family into it. Unfortunately, he wasn’t able to write anything more after that, and so Cassandra (along with her older sister Rose and brother Thomas) find themselves running out of money, trapped in a ramshackle castle in the middle of nowhere as their father gives in to his writer’s block. Things all change when an American family inherit the hall nearby – the arrival of Simon and Neil Cotton offer Cassandra and Rose the possibility of romance, but also the possibility of changing their situation and finding something more. 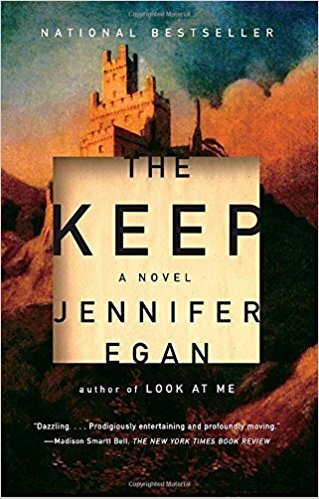 The final book on my list brings the castle right into the twenty-first century, though it’s undoubtedly still shadowed by all that has come before. Egan’s meta-fictional novel tells the story of cousins Danny and Howard, who were estranged after a cruel childhood prank almost killed Howard. As adults, the cousins reconnect when Howard (now rich and successful) persuades Danny to come and work with him in Eastern European – Howard has bought a castle, and he wants to transform it into a luxury hotel. As is revealed fairly early on, the story of Danny and Howard is really a story-within-a-story, and there is more to this narrative than initially meets the eye. But this works really well. As the cousins become more and more involved (almost trapped) by the castle and its almost impossible geography, another story unfolds about imprisonment, confinement and escape. The castle is at the heart of this – as is its remaining resident, the Baroness von Ausblinker, who refuses to leave to make way for the hotel.